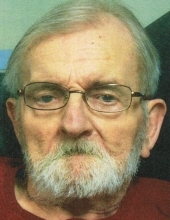 Gary Guy "Carp" Carpenter age 75 of Fredericksburg, IA, died Wednesday, March 20, 2019, at the Colonial Manor in Elma, IA. A Mass of Christian Burial will be held 10:00 a.m. Saturday, March 23, 2019, at Holy Family Parish, New Hampton with Rev. Brian Dellaert celebrating the Mass. Interment will be in St. Michael's Cemetery, Nashua. Friends may greet the family beginning at 9:00 a.m. Saturday, March 23, 2019, at the church. Gary Guy “Carp” Carpenter was born March 9, 1944, in Waverly, IA, the son of Guy E. and Leah Elizabeth (Tegeler) Carpenter. While growing up, he was a member of Holy Name Catholic Church in Shell Rock, IA. He was a 1963 graduate of the Clarksville High School. Gary worked for 33 ½ years at Meinerz, Beatrice and Con-Agra Creamery in Fredericksburg where he moved to from Clarksville. Gary enjoyed fishing, BINGO, and the lottery. He loved to travel and truly enjoyed visiting with one and all and of course, always having a Swisher-Sweet. Gary is survived by his four sisters, Lou Ann Perry, Jeanne (Gary) Rosendahl all of Shakopee, MN, Mary Nell Carpenter of Clive, IA, Karen (Raymond) Smith of Greene, IA. He also was an uncle to several nieces and nephews. He is also survived by his very dear neighbor and awesome friend, Carol Ameling. He was preceded in death by his parents and siblings, Charles Louis Carpenter and Nancy Elizabeth Carpenter in infancy. To send flowers or a remembrance gift to the family of Gary Guy Carpenter, please visit our Tribute Store. "Email Address" would like to share the life celebration of Gary Guy Carpenter. Click on the "link" to go to share a favorite memory or leave a condolence message for the family.